China Quality Award is the highest honor in China quality field which sets up China Quality Award and award nomination for China Quality Award and will be selected every two years. This award aims at commending the organizations with significant innovation achievements in the fields including quality management mode, management method and management system as well as the individuals who make outstanding contributions on the promotion of innovation of quality management theory, method and measures. On this award ceremony, there are total 9 organizations and 1 individual winning the third China Quality Award and total 71 organizations and 9 individuals winning the award nomination for the third China Quality Award. Weichai wins the third China Quality Award as the first place in manufacturing industry organizations relying on the “WOS quality management process”, becoming the only enterprise winning this honor in Shandong Province in this term. Previously, Weichai has successively won National Quality Award, China Quality High-Integrity Enterprise, award nomination for China Quality Award and China Industry Award. At the award ceremony, Tan Xuguang, the chairman of Weichai Power made the representative speech on behalf of the enterprise. He pointed out that it not only requires to create advanced scientific and technological achievements, but also requires the implementation of advanced quality management system guarantee for the high-quality development of manufacturing industry because the innovation and quality can supplement each other. Weichai insists on prospering and strengthening the enterprise by quality and technology and realizes the fast growth under high quality because the enterprise insists on “two-independence” which separately are forming the independent and characteristic quality management mode in the opening and building the first-class capability of independent innovation in the competition. General Secretary Xi Jinping pointed out that China’s economy has turn to high-quality development phase from the high-speed growth phase and the strategy of strengthening the country shall be in more outstanding position on the reports of the 19th National Congress of the Communist Party of China. The growth of Weichai in recent 20 years is an epitome of the development of China manufacturing industry. Through the whole journey, Weichai faces many common problems. It is exactly during the process of solving the practical problems one by one in different phases where Weichai forms the WOS quality management mode on the basis of independent integration innovation through continuous learning, digestion and absorption of international advanced experience. This mode is based on the big quality concept for the whole process of enterprise operation and establishes uniform index and standard process and assessment system and improvement system and guarantees the timely, high-efficiency and high-reliability lean manufacturing process which can meet the customized customer demands under large-scale manufacturing conditions. It is mainly manifested on the five aspects including index system, management order, culture leading, quality implementation and measure guarantee and uses indexes to unify the management language, uses order to improve the operation efficiency, use culture to lock customer demands and use quality to improve the enterprise values and guarantees the implementation of WOS mode through global WOS professional promotion agency, support of systemic WOS tools and methods, digital WOS standard intelligent manufacturing and hierarchical WOS assessment. Through promotion of this mode, the R&D cycle of new products of Weichai is shorted by 60%, the fault rate of new engine is reduced by 72%, the rate of reworking is reduced by 40%, the controllable variable cost of single set is reduced by 46%, the delivery cycle is shortened by 45% and the quality benefits are comprehensively and rapidly improved in recent three years. In the assessment, the expert group reaches consensus that this mode can meet the demands of quality management of the whole industry and it possesses outstanding large quality concept, clear thought and method, clear model and structure, strong logical structure and significant effect of control on operation effects and possesses great replicability and generalization performance. WOS quality management process is highly-open, comprehensive, repeatable, promotable and implementable which provides strong thought and methodology for the domestic and foreign resource integration of Weichai and the industry chain synergetic development. In October, Weichai received a group of Russian customers who came from the largest state-owned enterprise in Republic of Belarus, Maz Group and make this special trip to learn the advanced manufacturing, production and quality management experience of Weichai and introduce the WOS quality management mode of Weichai to the Sino-Belarus joint venture company which is about to be put into production in Sino-Belarus industrial park. In the domestic and foreign merger and acquisition enterprises, Weichai not only output capital and technology, what is more important is output of management. Weichai introduces WOS to the merger and acquisition enterprise and achieves huge success. In the fives year after acquisition of Yangchai, the unit price of product is increased to near 20,000 yuan from about 5,000 yuan; in the 13 year after strategic reorganization of Torch, Shanxi Heavy Duty Automobile successively enters the first echelon in China heavy duty automobile. In the oversea merger and acquisition enterprises, France Baudouin Engine, Italy Ferretti and Germany Linde Hydraulics, etc all make up the deficits and get surpluses and realize the rapid development; Germany Kion keeps the performance growth of over 10%. The implementation and promotion of Weichai quality management standards in the over 80 suppliers of Weichai realize the joint improvement of industry chain. To realize high-quality development, made in china mode must construct the first-class independent innovation capacity in the competition. The general secretary points out that “the key and core technology cannot be asked for, purchased and demanded.” Weichai keeps increasing the input in R&D all the time and inputs over 15 billion yuan only for the R&D of engine in recent 10 years and constructs the first-rate engine R&D and manufacturing base in the world. Weichai also possesses the national key laboratory with the research orientation of reliability and domestic engine laboratory passed EPA Certification. Weichai also founds leading innovation center in Chicago, America, Aachen, Germany and Tokyo, Japan. Weichai develops the high-end China “core power” with full intellectual property and turns the mode of following into joint development and leading. 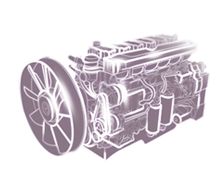 The high-end diesel engine with the speed of 1.80 million km/30000h establishes the highest standard for service life of global high-speed heavy duty engine. The “reliable and durable” brand image of Weichai is well recognized by customers. On Chinese market, the price of Weichai engine is 10% higher than that of international famous brand which is still in short supply. Such brands have successfully entered the market of American developed countries. Weichai actively advocates the promotion of upgrade of emission regulations, leads and cooperates with Germany Bosch Group and other global strategic partners to lunch the initiative of winning the Blue Sky Protection Campaign. Currently, Weichai whole-series engines achieve the national stage-VI emission regulation and standards one year in advance and have obtained the first China VI B heavy duty diesel engine certification of Ministry of Ecological Environment. In recent 20 years, it is exactly under the support of quality where Weichai achieved revenue of 230 billion yuan from the state of vicinity of insolvency and creates the Weichai speed of annual average compound growth rate of 37%. After hearing the Weichai report during the two sessions, the general secretary made important instructions that: Weichai has achieved great and huge achievements in the decade of development.” and that “to climb to the peak of career, all the successful enterprises need to make great efforts to the main business without distractions.” Weichai is unswervingly implementing the important instruction spirits of the general secretary and relying on the independence to construct the respectable made-in-China Weichai brand in the world and make contributions for strengthening the country by technology and quality.